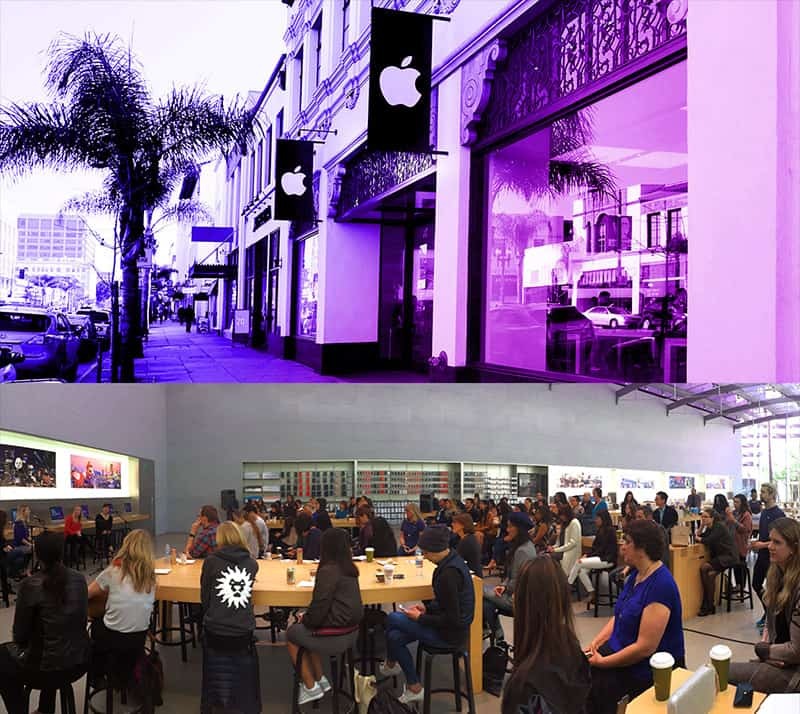 An Event Series at the Apple Stores in Santa Monica and Pasadena promoting Women in Tech. It’s a fact: When women share in leadership roles, companies thrive—especially when it comes to technology. 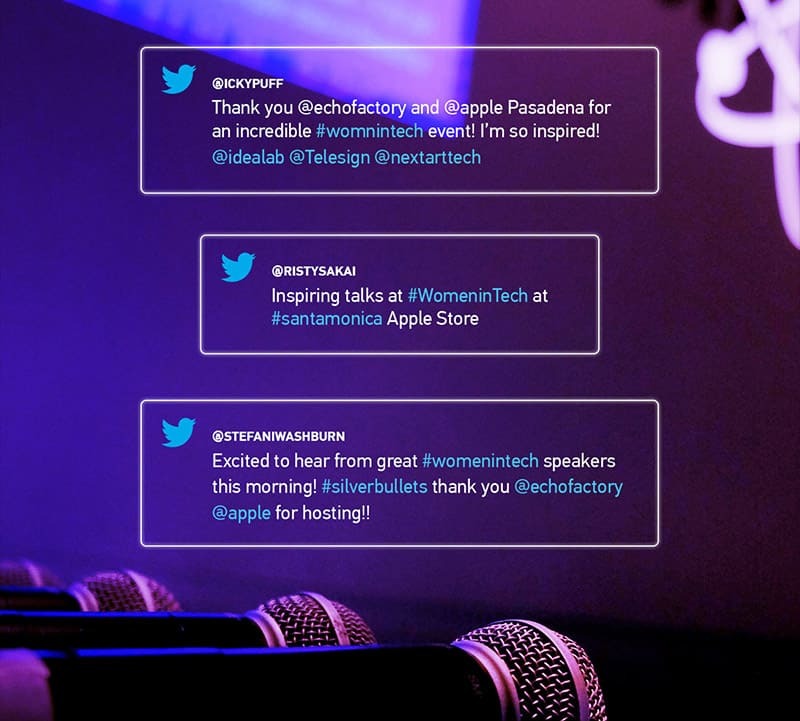 Wanting to get that message out, we partnered with Apple to create a panel series on the topic women in tech, which would take place at the Apple Stores in Pasadena and Santa Monica. Our group featured panelists Renée LaBran, senior advisor to Idealab, Max Powers, senior VP of business ops. at TeleSign, Natalie Sun, creative technologist and founder of NextArt, and Anna Barber, managing director at Techstars, and moderator, our very own CCO Dea Goldsmith. The inspiration these women radiated made it easy for us to do our thing. 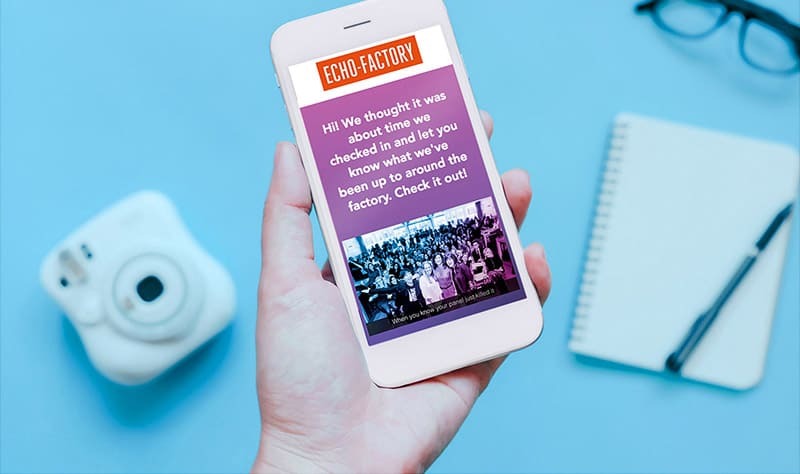 We included unexpected elements like original memes and animated GIFs to build a brand and promotional campaign worthy of their awesomeness—and it worked. Both Women in Technology – The Latest Silver Bullet events hosted sold-out crowds with standing room only.